The Government Communications Security Bureau (GCSB) has in the past been concerned with spying on other nations, especially rivals of the US. Intelligence-gathering for Washington is one way our government has tried to make up for the embarrassment of our nuclear-free policy. 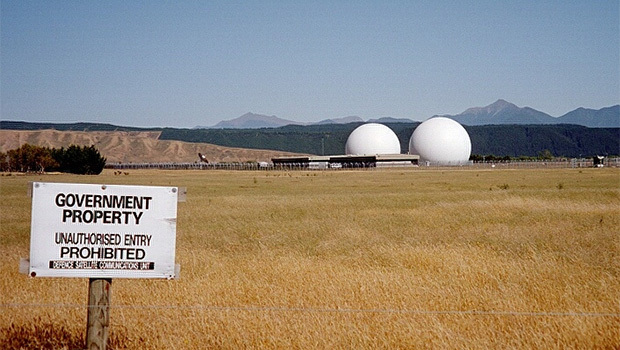 They showed their loyalty to the US by setting up the Waihopai spy base and becoming part of the “Echelon” email interception system (also known as “Five Eyes” because it is a partnership between five “Anglo” countries – the US, Australia, Canada, the UK and NZ). Spying and lying are essential to government. States lie to each other and their citizens all the time. Spies are needed to find what kind of lies are being told. For instance, why did we help the US and UK invade Iraq, a country on the other side of the world, when we knew it had no doomsday devices? According to US government cables obtained by Wikileaks, it was because Michael Cullen said Fonterra would lost Oil for Food contracts if we did not. We traded Iraqi blood for milk. The real reasons for war are unpalatable in any democratic state. This in a nutshell is why spies are a necessary part of life in international relations. While spying may be age-old, mass surveillance is not. The police force was created in response to industrialisation, as cities grew and working people proved unruly. The nightmarish totalitarian states of the 20th century used networks of informers, bribery, intimidation, and censorship to rule. But now technological advances have made possible the warehousing and analysis of communications on a scale unimaginable 20 years ago. In the days of letters, censors could (and did) open letters to check their contents, but that was labour-intensive. What’s more it was impossible to store (forever!) a copy of every letter ever written. Echelon is an incredibly ambitious program. The USA has apparently constructed server cities to save and analyse all the information they are harvesting. It’s said that nothing written on the internet is ever truly deleted – if you have the time and money to find it. That in itself is mind-boggling. A remarkable part of the US spy system Prism, which was recently revealed by whistleblower Edward Snowden, is the spineless complicity of the technology companies. The evolution of the tech sector is a shockingly compact illustration of how capitalism works to stifle creativity. When Silicon Valley first boomed, it was used (like every capitalist boom) as proof that capitalism had overcome its inherent tendency to boom and bust, and its tendency to concentrate wealth in the hands of monopolies. Silicon Valley was bustling with inventors, entrepreneurs, and start-up companies. There was an incredible abundance of ideas. There was no working class, and no bosses. Work was play, and promised freedom for everyone. The internet, a massive communications commons, where the world could share with one another, was the greatest achievement of this moment. But scarcely ten years later, there was the “tech wreck”, the collapse of the IT boom. The men in grey suits stepped in, the banks assumed control, and a massive duopoly – Microapple – stretched its bloated carcass over the scene, squashing innovation and reaping mega-profits. The next stage of the rot set in when the former champions of freedom sold out or buckled under government pressure. Google’s complicity with China in establishing state control of the internet is well-known. Snowden’s release has detailed the way the IT industry has worked with the US spy agencies to lay the foundations of a surveillance state that Hitler or Stalin could not have dreamed of. Some commentators suggest the evidence of US firms’ complicity in surveillance will build the market for non-US, truly secure communication providers. Other, more pessimistic commentators predict the demise of the internet as a global system. They suggest it will be chopped up by rival governments. Michel Foucault in his book Discipline and Punish talks about a transition in the exercise of state power from the spectacular punishments of mediaeval Europe – witch burnings, and public hangings – to the idea of correction, systems of discipline that aim to internalise repression. Foucault talks about the “Panopticon”, devised by Bentham. 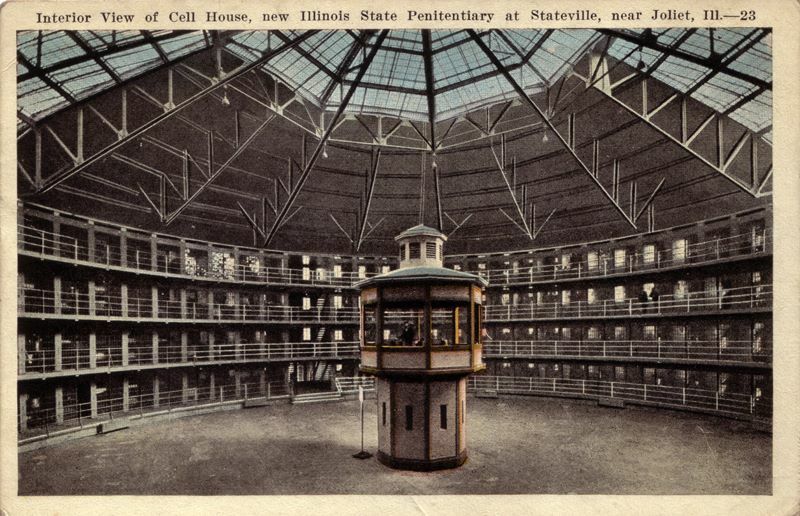 The Panopticon was a perfect prison, where the cells where arranged like the rim of a wheel around a central guard tower. Every cell could be seen by the tower and by all other cells, but the guard in the tower could not be seen by the prisoners. The idea was that prisoners would always feel themselves to be under surveillance by the tower and all other cells, even when there was no guard in the tower. Prisoners would then act at all times as though they were under surveillance until they reached a point where surveillance was embedded in their own psyche, and formed an artificial conscience. Yevgeny Zamyatin, a Russian novelist who rebelled against the betrayal of the revolution, set his dystopian society in a city of glass walls, where all citizens were visible to the state, for the same reason. John Key has apparently justified the invasion of privacy by the GCSB (and the SIS) with the line that “if you have nothing to hide, you have nothing to fear”. Advocates of surveillance argue it is necessary only to stop “paedos, pirates and terrorists” – in other words a tiny minority of the population, and the rest of us can happily carry on our lives as normal. Key mentioned some few New Zealand residents who were being monitored because of activities in Yemen. Foucault, and I, would argue that this is an excuse. The real aim, conscious or not, is to internalise repression, to create an artificial conscience, so that whenever we consider our communications we ask ourselves not only is this right or wrong, but what would the GCSB and John Key think of this. Surveillance not only creates a relationship between us as individuals and a faceless, nameless government bureaucracy. It fragments communities and breaks solidarity. This is a deep process of the construction of a neoliberal subject, an individual removed from community standing naked in the direct gaze of the state. The emergence of surveillance states is not just because of new technology. States need more surveillance, because there is a deepening disenchantment with capitalism and liberal democracy. If the system cannot deliver people’s basic needs then more repression must be supplied to make up the gap. In New Zealand, the two-party political stability of the 1950s and 60s, with high voter turnout and party membership, is a thing of the past. Voter turnout was the lowest in the last election since the 1800s. Neoliberal, freemarket attempts to resurrect the growth levels of that “long boom” have abjectly failed, leading to a law wage economy, and massive dependence on primary industries like dairying and mining, forestry and drilling. This in turn requires attacks on the environment and on working people. Such unpopular necessities force the government to rely more and more on repression. The threat posed by the intelligence apparatus of the state is serious – George Orwell’s 1984 was a reaction to the establishment of “totalitarian” regimes in Germany and Eastern Europe but state surveillance have been an increasing part of democratic societies since the end of World War 2. The FBI was established in the USA in the 1930s and the CIA after World War 2. Communists, leftists and trade unionists were the first major target in the 1950s McCarthy era, and in the 1960s and 70s, Cointelpro was established by the FBI to disrupt and “neutralise” the “New Left”, the 1968 movement. Cointelpro monitored radical movements, inflitrated and disrupted them, blackmailed, harassed and even assassinated activists. The most vicious attack was against the Black Panther Party, a revolutionary socialist party of black militants. There are limits to the powers of the surveillance state however. Orwell’s grim vision of a triumphant totalitarian state – “a boot stamping on a human face — forever” can never happen. States depend on a mix of coercion and coption. The murder of Fred Hampton and the election of Barack Obama are the two sides of the state’s strategy, just as in New Zealand mass incarceration and Waitangi settlements are both aspects of the state’s strategy to contain Maori dissent. No system can survive entirely by repression. Tunisia’s secret police was once 80,000-strong. But the Tunisian regime was politically bankrupt – living off the legacy of the anti-colonial struggle meant nothing to the young generation like Mohammed Boauzizi, who could not get work or make ends meet. The heroic uprising in Tunisia sparked a new wave of struggle and the entire Tunisian secret service has been abolished and dismantled. This is a great victory. However, as we see in Egypt, with bloody massacres by the military of the supporters of the deposed president, state surveillance is only one small challenge on the road to create a better world. « Free Teina Pora now!